The NERC-CIP standard is the primary knowledge resource used by the Utility industry to ensure our nation's power grid is protected from unintentional (accidental) and intentional (malicious) disruption. While the NERC-CIP standard takes a comprehensive approach to cyber security, there remain areas where the specific implications of security vulnerabilities are not understood by the industry at large. 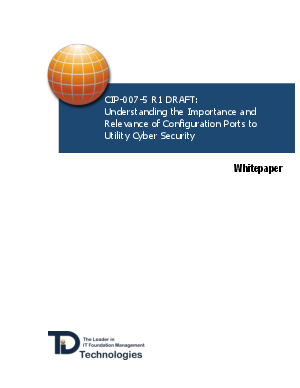 This whitepaper looks at the specific area of Configuration Ports as covered by NERC-CIP-007-5.